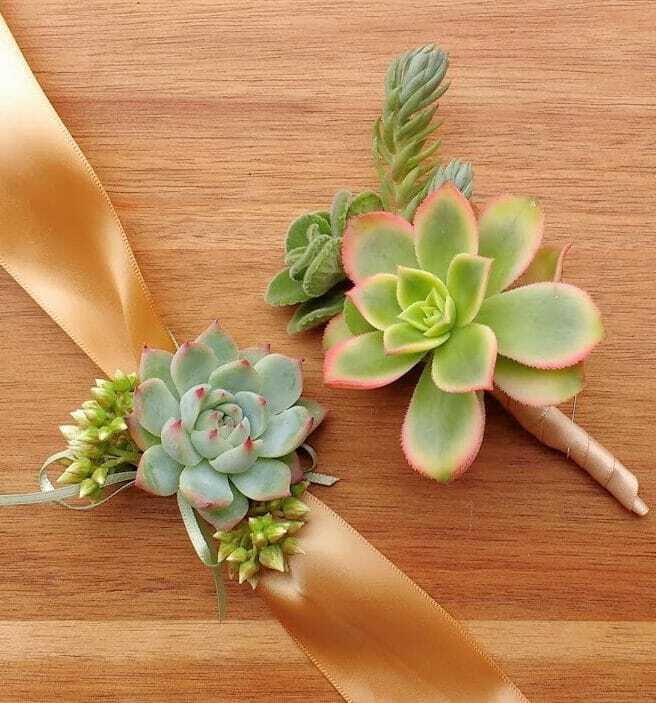 Choose your style and color theme. 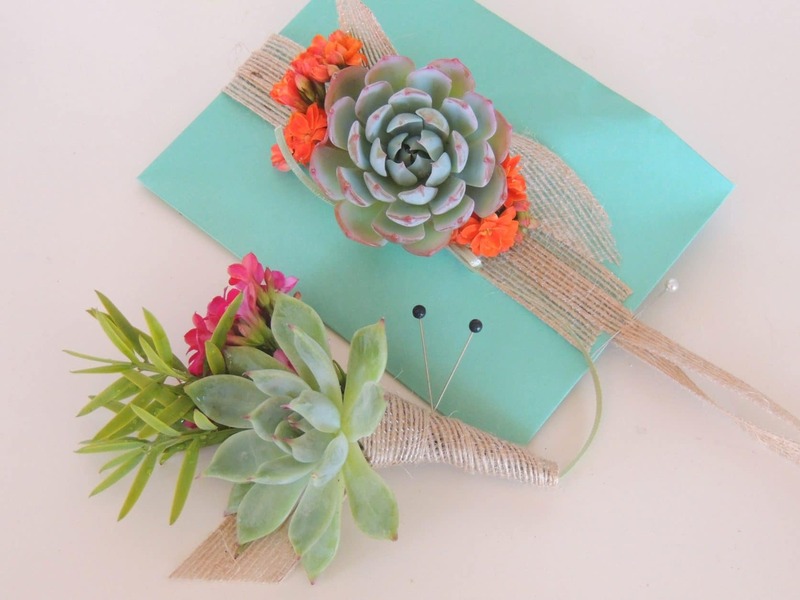 Color can be added with ribbon or flowers fillers. 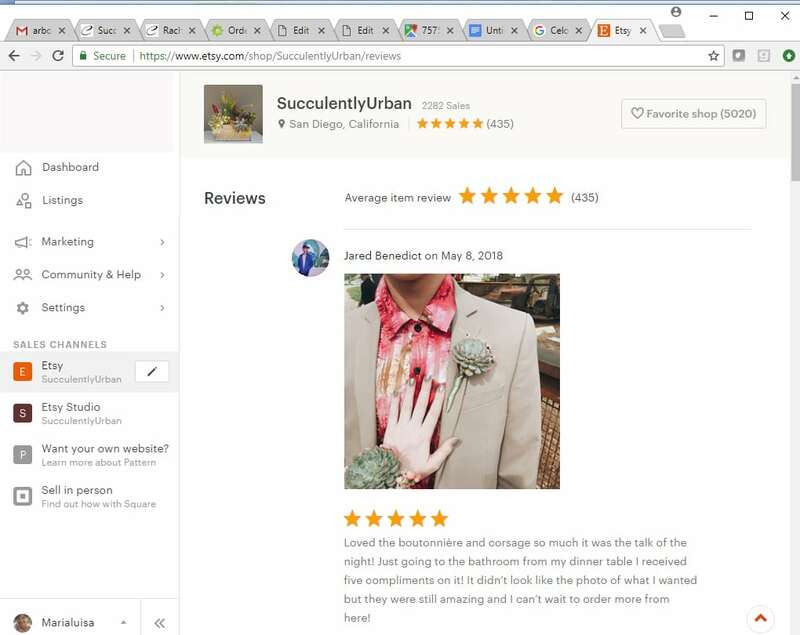 When ordering on line please leave a note at checkout with picture number of your preference. 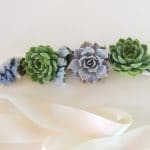 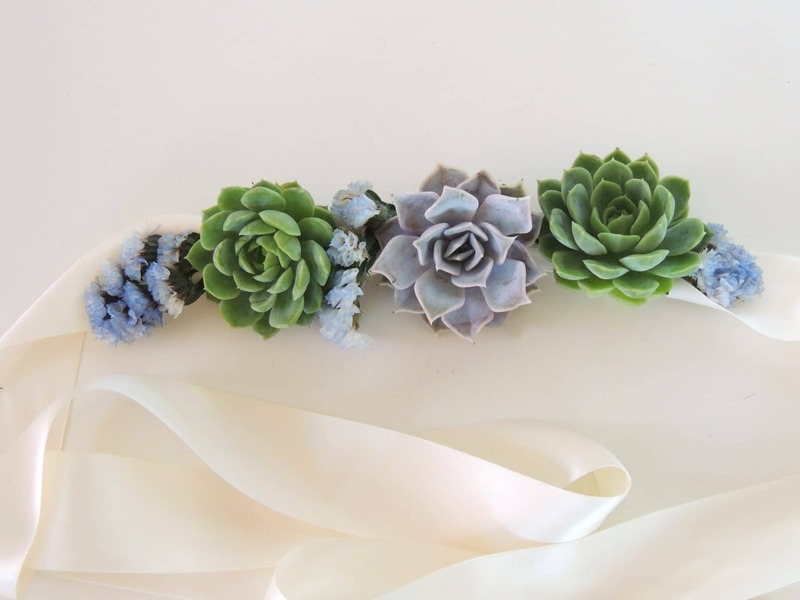 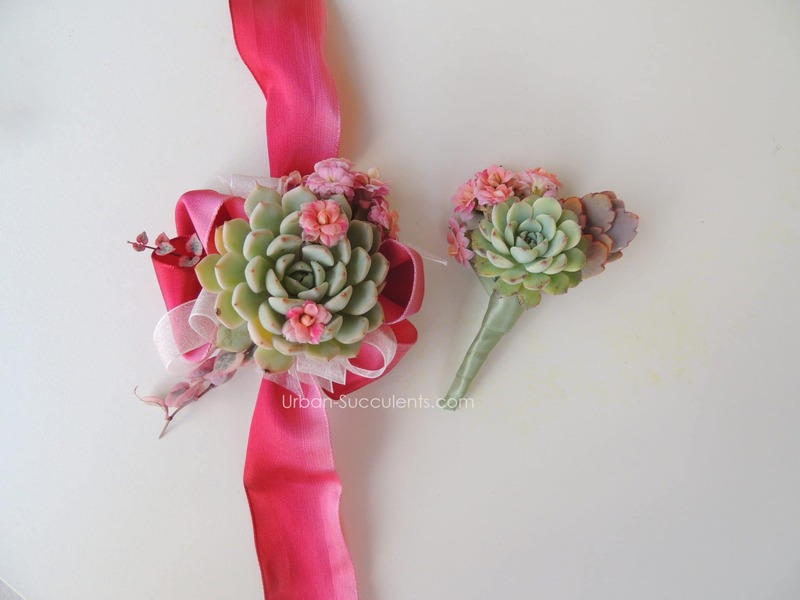 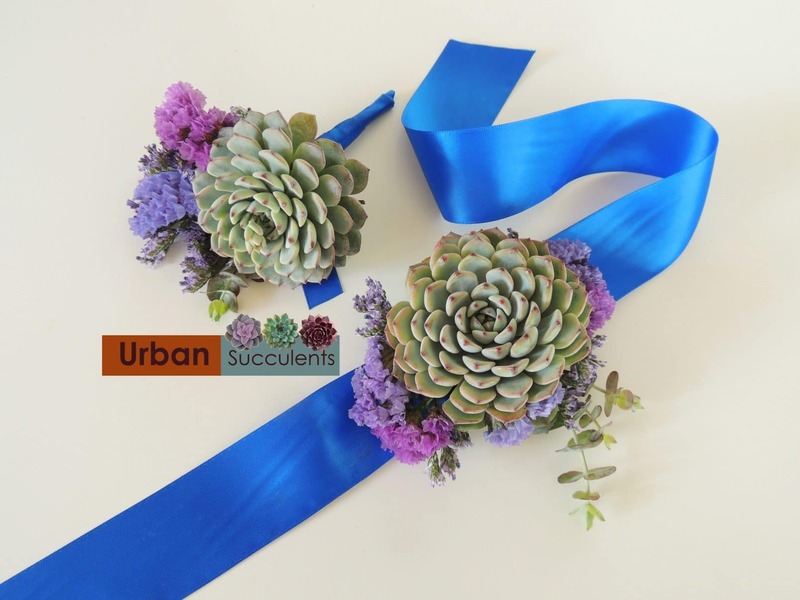 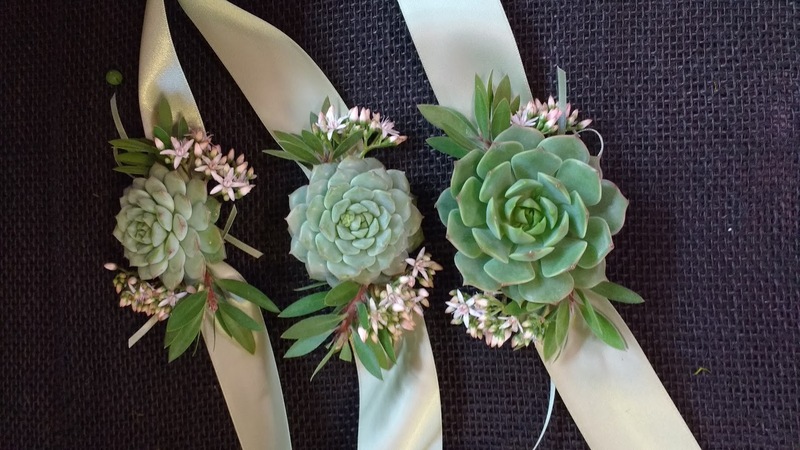 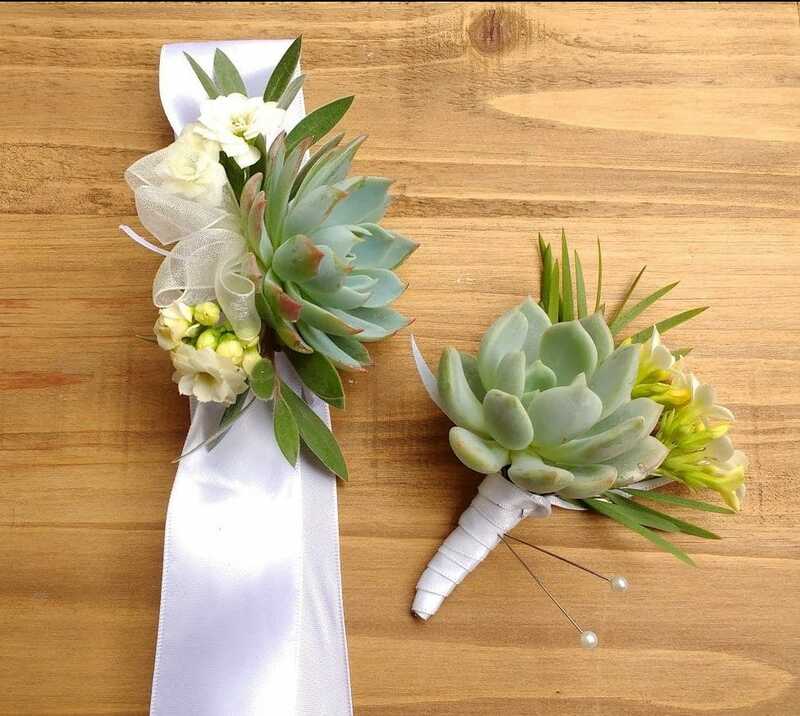 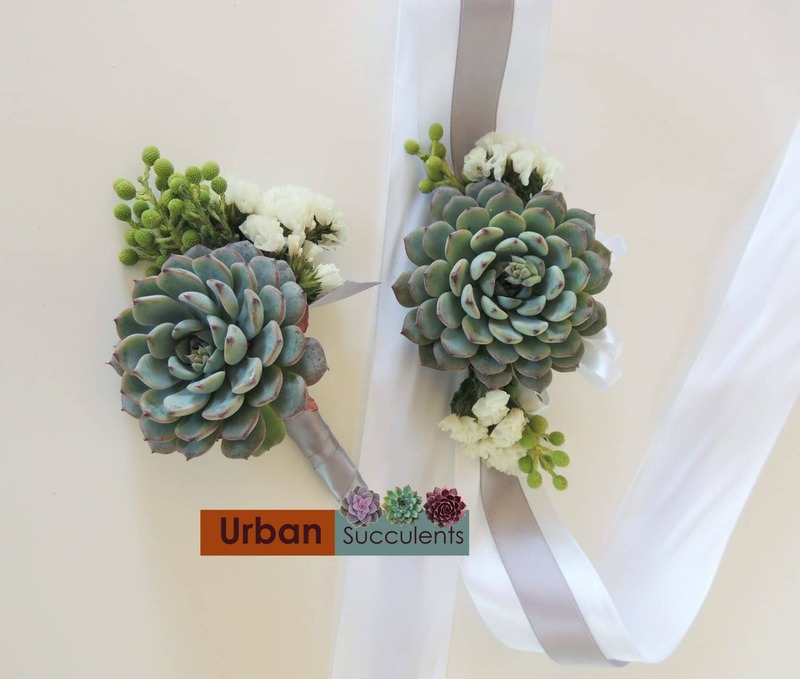 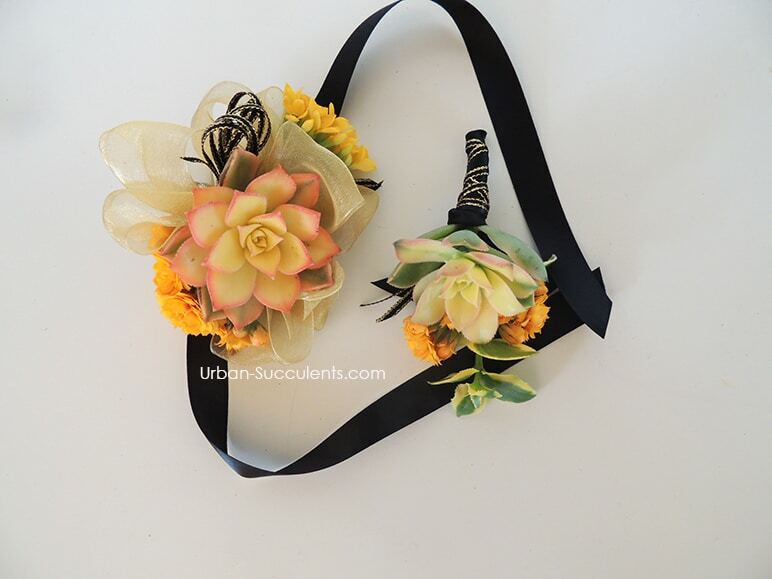 These boutonnieres are created with a succulent rosette and blue thistle, yellow billy balls or red berries. 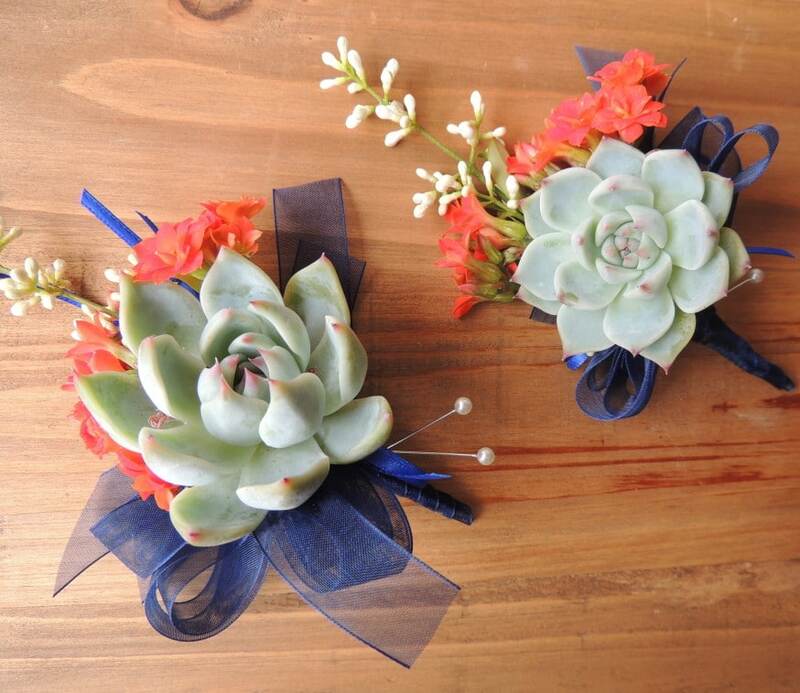 When ordering please indicate in the Special instructions at Checkout your preference. 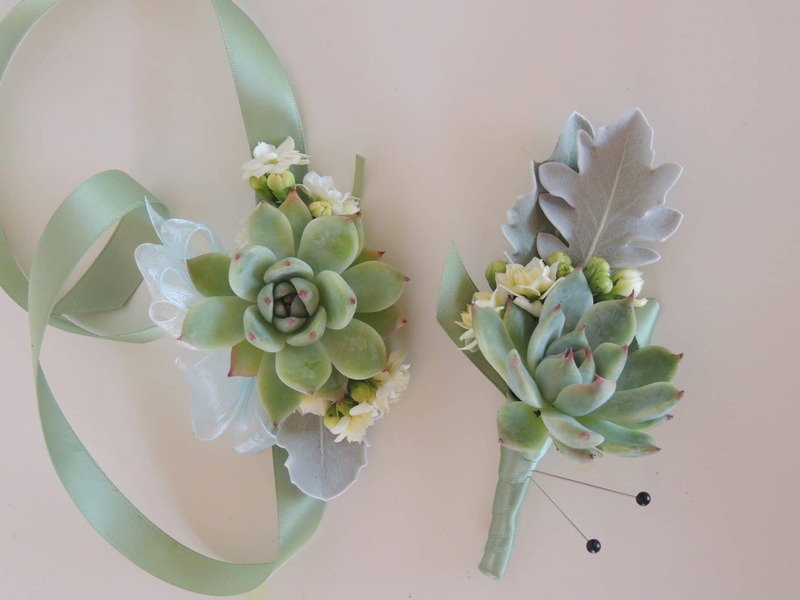 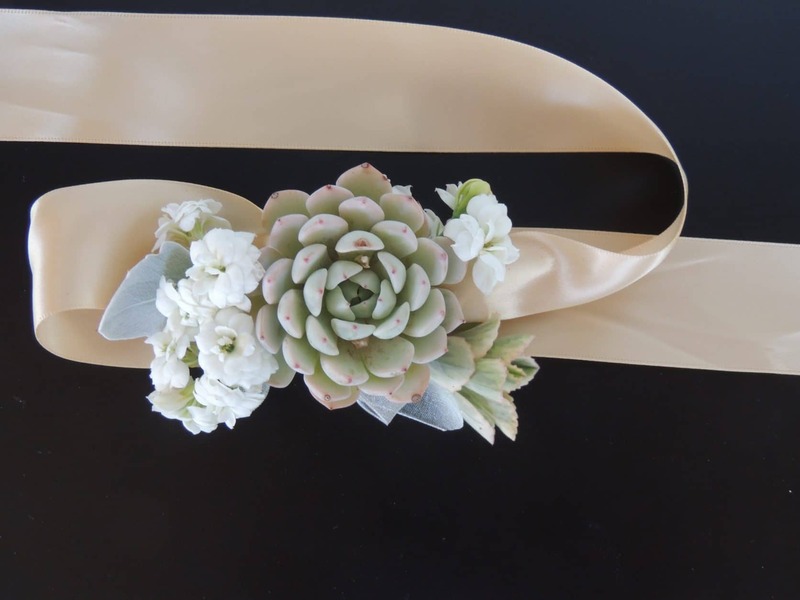 The price or this boutonniere is less when ordered with a bouquet with roses.The bouquet with roses is only available for San Diego delivery to preserve the fragrance and freshness of the roses. 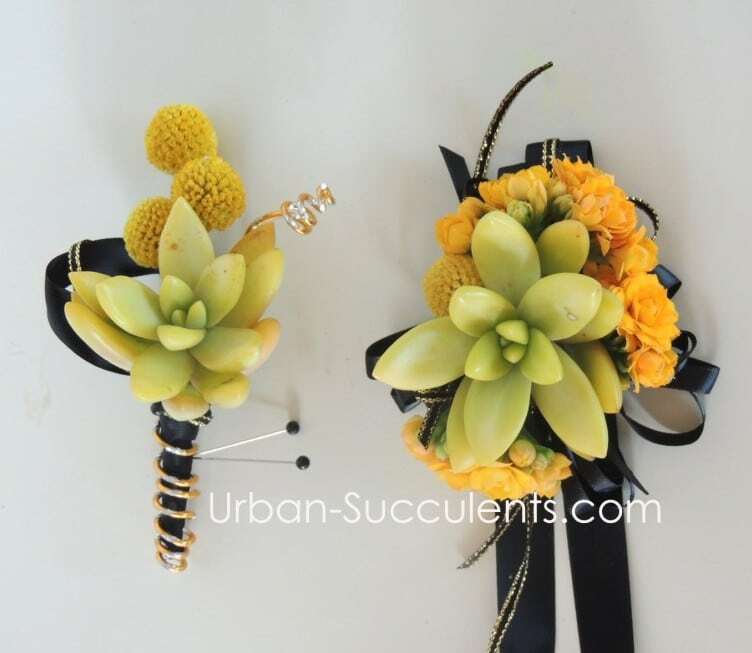 The corsage in this set is crafted with a beaded wrist let.